Returning to Scotland after nearly a decade, the latest tour of the runaway smash musical that is Les Misérables has already sold out. But what is it that makes the show so popular? Les Mis, or to give it its full name, Les Misérables, is a musical – music by Claude-Michel Schönberg, and original French lyrics by Alain Boubill and Jean-Marc Natel. The English lyrics and libretto were written by Herbet Kretzmer. Isn't it based on a novel? Yes, Les Mis was based on the 1200 page novel of the same name by Victor Hugo from 1862, which is often considered to be one of the greatest novels of the 19th century. The story begins in 1815 and ends with the 1832 June Rebellion in Paris – it is not set during the French Revolution; that began in 1789 and lasted until 1799. It follows a man called Jean Valjean, a peasant who was sentenced to 19 years’ imprisonment; five years initially for stealing a loaf of bread to feed his starving nephew, and a further 14 for escape attempts. After breaking his parole, he reinvents himself as a factory owner and mayor and is then swept up into a revolutionary movement, where a group of young people attempt to overthrow the government. Meanwhile, a police inspector called Javert has vowed to track Valjean down at any cost. It, originally, was released as a concept album, before making the leap to the French stage in 1980. Although it closed after three months, the English-language version of the musical opened five years later in London in October 1985, helmed by the producer Cameron Mackintosh, who also brought Cats to Broadway. The initial reviews were negative, with some critics condemning the idea that classic literature could be made into a musical, and whether it was proper to have every word sung instead of spoken. However, it weathered the storm and the London production has run continuously since its premiere, becoming the second longest-running West End show after The Mousetrap, and the longest-running musical in the West End. The Broadway production opened in March 1987 and ran until May 2003, earning 12 Tony Award nominations, and winning eight, including Best Musical. Well, there seems to be no single reason for Les Mis’s continuing success. Musical-wise it has it all, catchy tunes (I Dreamed a Dream, One Day More, Do You Hear the People Sing?) with fantastical lyrics, and unlike a lot of other musicals (here’s looking at you, Cats), Les Mis actually has a plot. In fact, it’s the plot that helps make it stand out from other shows. It’s a big, epic, anti-capitalist piece of theatre, tackling difficult themes from abuse to poverty, redemption to revolution. But ultimately, Les Mis, for all its darkness and all its scenes and songs about human suffering, is a musical about hope. It’s about how much the human spirit can endure about dreaming of a better time, a better world. Although set hundreds of years ago, its themes are universal; we still live in a world dogged by inequality, poverty and injustice. 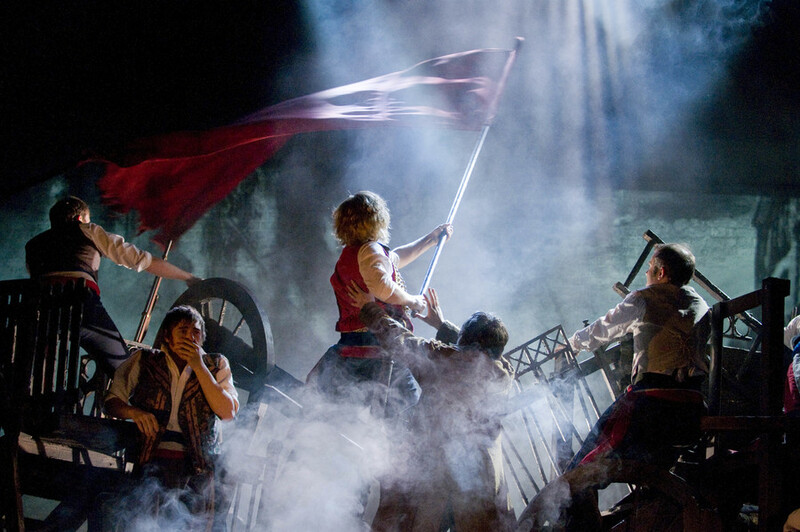 If all art is political, then Les Mis is a piece of theatre that wants to help you escape difficult times, but also make you question the present by looking at a long-lost past. Uh, well, this is where it gets awkward. 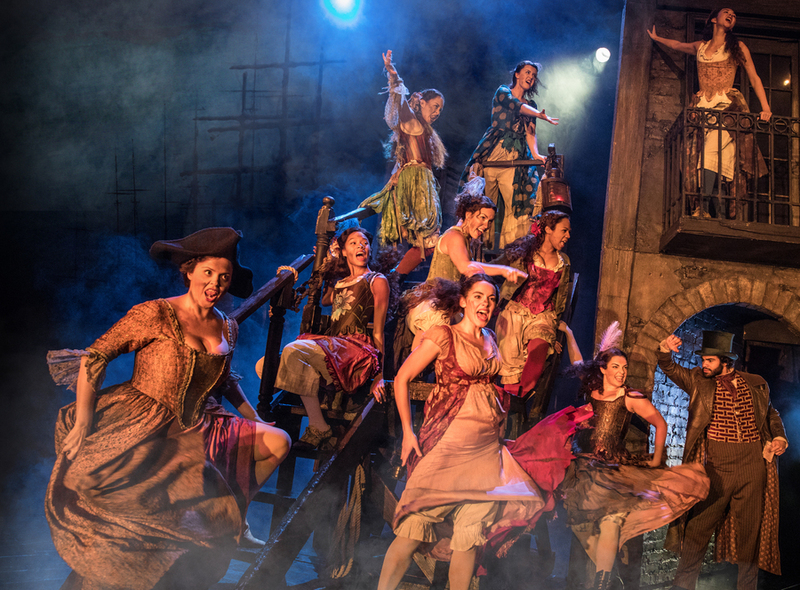 Because it’s been nearly a decade since anyone brought such a large-scale touring production of Les Mis to Scotland (and this is a new production, conceived for the show’s 25th anniversary back in 2009), demand has been high and tickets have sold out. But try for returns, you might get lucky. You have to dream a dream, after all.